With 269 Stores Closing, Is this the Beginning of the End for Walmart? All great empires eventually fall. This is as true in retail as it is in geopolitics. Often the descent into oblivion takes decades. A&P, which was once such a formidable market power that it was the subject of antitrust hearings in Congress, began to falter in the 1950s, some 80 years after cloning its first store. At the time, it was by far the largest grocer in the country. It would remain the industry leader for another quarter of a century, even as its stores seemed increasingly outdated and its corporate practices inexplicably unable to keep up. After several rounds of store closures in the 1970s and 1980s, and a bankruptcy filing in 2010, A&P finally threw in the towel for good just last year. By then, it was a two-bit player in the grocery business, its once continent-spanning empire now confined to the Northeast. The fall of Montgomery Ward was also a long time coming. The company altered the course of 20th century retailing by pioneering the general merchandise store, and then it tripped and stumbled for nearly 50 years before its final Chapter 11 bankruptcy filing in 2000. Those decades saw the company undergo various retrenchments, corporate takeovers, and attempted reinventions. “A very difficult retail environment simply did not permit us to complete the turnaround that might have been possible,” Montgomery Ward’s last CEO still maintained on the day the lights finally went out, 84 years after the retailer opened its first store. And so when Walmart, which turns 54 years old this year, announced that it would close 269 stores, including 154 in the U.S., one had to wonder if this might be the beginning of the chain’s inevitable end. We’ll only know for sure in hindsight, perhaps decades from now. But at the moment, it would be a mistake to leap to any conclusions. Walmart is a global powerhouse. It has half a trillion dollars in annual revenue and a track record that warns against underestimating it. Walmart is so vast that these newly shuttered stores account for less than 1 percent of its total real estate footprint. And when it announced the closures, the company clarified that it’s still planning to open over 140 new stores in the U.S. this year, and more than 200 internationally. Walmart’s store closures may be less an initial stumble along a path toward demise than a move to abandon communities that Walmart has decided simply aren’t worth the trouble. The company’s U.S. pullback really consists of two distinct events. One is the closure of 52 stores, across 20 states, that Walmart claims are underperforming. The other is Walmart’s across-the-board abandonment of its Express format, a group of 102 small stores, each about the size of a Walgreen’s and stocked with groceries and pharmacy goods. Launched in 2011, Walmart’s Express stores were designed to expand its presence in places where big stores aren’t viable. 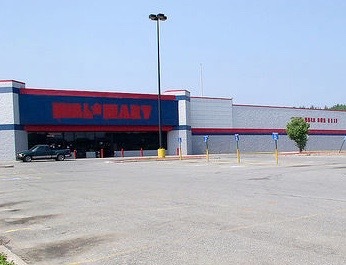 While much of the press coverage of the new format focused on Express as a means of getting into dense cities, Walmart actually built the vast majority of these stores in very small towns across the rural South and Midwest. Express was a bid to corner every last bit of the market in a region where Walmart’s supercenters already utterly dominate retailing in all but the smallest towns. And so, in dozens of tiny Southern communities, Walmart opened Express stores, often destroying locally owned businesses in the process. Now it’s packing up and leaving. In Whitewright, Texas, Walmart’s closure came just a year after its grand opening and only three months after putting a 60-year-old family-owned grocery store out of business. And in Oriental, N.C., a town of 900 people, Walmart’s new Express store caused the closure of the 44-year-old Town n’ Country grocery store. Now the Express store is empty too, and the nearest grocery store and pharmacy are a 50-minute round-trip drive. Not all the news has been bad, though. While the opening of a Walmart is often highly destructive, its closure can have significant upside—at least over the long-run, and sometimes immediately. An independent grocery store in Winters, Texas, was only a day away from closing for good when Walmart announced it would vacate the town. The store’s staff quickly moved to restock the shelves. The 42-year-old locally owned Norm’s Grocery in Seligman, Missouri, got a similar last-minute reprieve. And in Mansfield, Arkansas, a new pharmacy is on the way now that Walmart is pulling out. For small towns especially, the economic advantages of having a locally owned grocery store instead of a Walmart are profound. Studies have found that about 85 percent of the dollars that flow into the cash registers of a Walmart store leave the community. 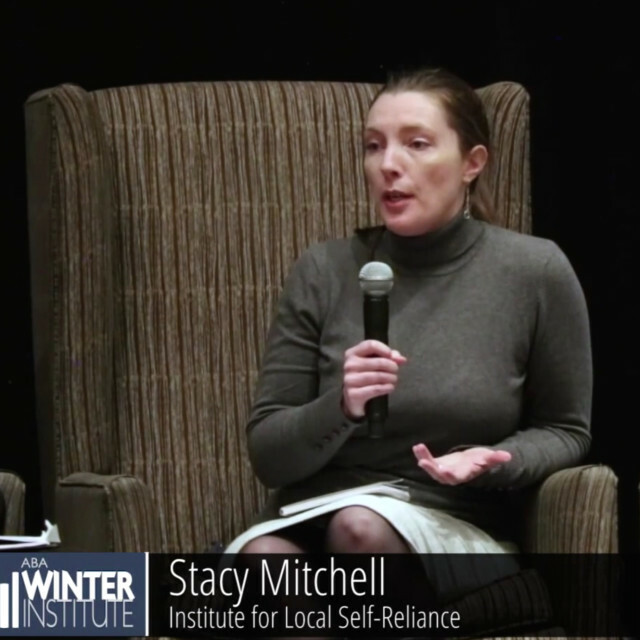 Independent businesses recirculate a much larger share of their revenue locally, and recent scholarship has concluded that communities with more locally owned businesses have faster income growth and lower rates of poverty. And yet, city officials continue to bet on Walmart. Perhaps no city felt as burned by the company’s pullout as Washington, D.C., which agreed in 2012 to let Walmart build three stores in more well-to-do areas so long as it also built two stores in low-income neighborhoods. Now with three of those five stores open—you can guess which ones—Walmart said that it was dropping plans to build the other two, as part of its broader reconfiguration. At one of these shunned locations, the city has already razed a rundown but active shopping center of mostly locally owned businesses to make way for Walmart. Today there’s nothing there but a dirt lot. In reviewing the situation, the Washington Post’s editorial board opted not to blame Walmart for its bait-and-switch, or even to blame city leaders, who were so in-the-tank for the company that they ignored warnings from activists (including me) and failed to get the deal in writing. Instead, the Post had the audacity to blame D.C. residents for not subjugating themselves sufficiently. “Has the District created an unstable business environment in which employee pay, benefits and work conditions are decided by popular whim, with little regard for the realities of the business world?” the editorial board declared. Other commentators tried to pin the closures on the Fight for $15, but nearly half of the earmarked stores are in states that abide by the federal minimum wage of $7.25 an hour. Even Walmart admitted that labor costs had nothing to do with which stores went on the chopping block. So far, though, Walmart has refused to guarantee new jobs for the 10,000 employees whose stores are closing. This is despite the fact that the retailer has so much turnover that it has to fill roughly 40,000 positions every month. More than anything, Walmart’s closures are best explained as a side effect of its main strategy for dominating the economy: overbuilding regions to the point of not just destroying competition but cannibalizing its own sales. According to ILSR’s calculation, more than half of the non-Express stores slated to close are in towns where Walmart has at least one other store. And 89 percent of all the stores on the list are in states where the retailer has more square footage than average. In Texas and North Carolina, which top the list of states with the most shuttered stores—29 and 17, respectively—Walmart has an astonishing 3 square feet of store space per person. The national average is 2.3. In Arkansas, where 11 stores are closing, Walmart has over 5 square feet of store space per resident, and captures upwards of half of the state’s grocery sales. With Walmart leading the way, big-box retailers have more than tripled the total amount of per capita retail selling space over the last 25 years. This strategy has no downside for these companies. They get to overbuild in a race for market dominance, while cities are left to bear the consequences of the cheap and often useless structures they leave behind. One of the newly closed Walmart stores—a Sam’s Club in Michigan—sits right next to the corpse of a 1.3-million-square-foot mall that died years ago as the big-box stores spread. This is only going to get much uglier with the growth of online shopping. A new report out last month from Civic Economics estimates that Amazon’s rise has already caused 100 million square feet of retail space in the U.S. to go dark, with local tax revenue falling by about $1 billion as a result of the lost property and sales taxes from these now-empty stores. These figures are only going to soar in the coming years. Places that have welcomed lots of big-box stores will undoubtedly be the hardest hit. Walmart’s store closures are a powerful reminder of the perils of relying on large, absentee companies—for our economic well-being, and for groceries too. 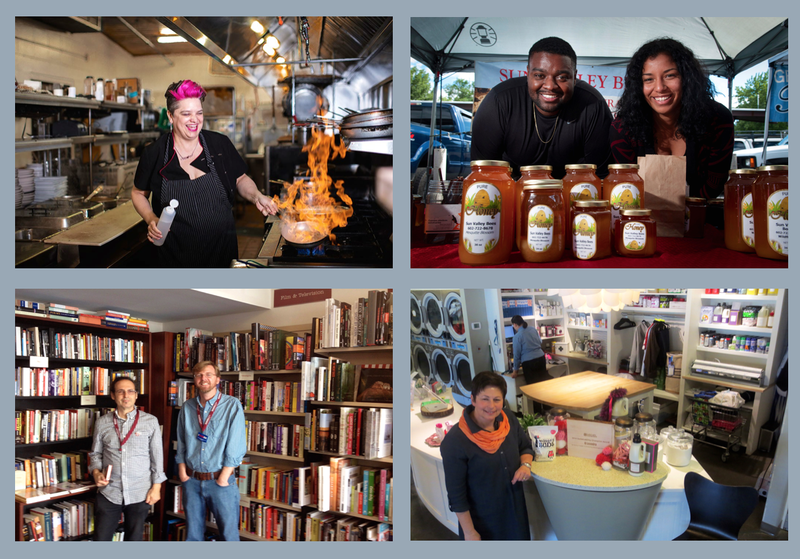 The road ahead will get much bumpier with the growth of online shopping, which is all the more reason that cities should prioritize locally owned businesses that have deep roots and insist on building structures and places that are designed to last.